Welcome to Dr Angela Zhang (张湖月) and Dr Alex Schwartz who have recently joined our Faculty as Associate Professor and Assistant Professor, respectively. In 2017-2018, Dr Zhang will be teaching Introduction to Chinese Law (LLB/LLM/JD) and Competition Law and Policy in China (LLM), and Dr Schwartz will be teaching Business Associations (LLB), Guided Research (LLB) and Dissertation (JD). Dr Zhang's research focuses on applying economic analysis to the study of transnational legal issues. Specifically, she seeks to explore how institutional factors drive the legal outcomes affecting global businesses. She is currently working on two empirical projects: one on the clash between antitrust and China and the other on the behaviour of EU judges. Though on leave, Dr Zhang retains her appointment as Senior Lecturer in competition law and trade at King’s College London. 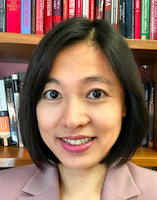 Dr Zhang's work has been published by academic journals including Stanford Journal of International Law, University of Pennsylvania Journal of International Law, Cornell International Law Journal and Journal of Competition Law and Economics. In 2014, she received the Concurrence Antitrust Writing Award for her study on bureaucratic politics in Chinese antitrust law. In 2015, her work on EU judges was chosen to be presented at the Stanford International Junior Faculty Forum. Angela is also frequently invited to speak at antitrust conferences in the United States, Europe and Asia. Her research has attracted media inquiries from The Economist, The New York Times and Reuters, and she regularly contributes op-eds to the popular press. Before joining academia, she practiced bankruptcy law at Debevoise & Plimpton in New York and antitrust law at Cleary Gottlieb Steen & Hamilton in Brussels. She also has practice experience in Beijing, Hong Kong and London. She was admitted to the New York bar in 2009. Dr Zhang received her LLB from Peking University in 2004 and her JSD (2011), JD (2008) and LLM (2006) from the University of Chicago Law School. While at Chicago, she wrote her doctoral dissertation under the supervision of Judge Richard A Posner. Dr Schwartz’s research is focused on courts and judicial behaviour, particularly in the context of deeply divided and transitional polities. He was previously Lecturer in Law at Queen’s University Belfast, where he was also an Associate Fellow of the Senator George J. Mitchell Institute for Global Peace, Security and Justice. Before that, Dr Schwartz was a Banting Fellow with the Department of Political Studies at Queen’s University (Canada), a visiting scholar at the Centre for the Study of Social Justice (Oxford) and a postdoctoral fellow with the Canada Research Chair in Quebec and Canadian Studies at L'Université du Québec à Montréal. 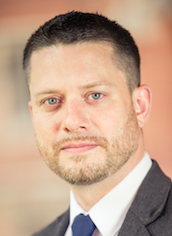 Dr Schwartz has published articles in Law & Society Review, Oxford Journal of Legal Studies, Ratio Juris, International Journal on Minority and Group Rights, and Government and Opposition and he is co-editor of Rights in Divided Societies (Oxford: Hart Publishing, 2012). In addition to research on courts and judicial behaviour, Dr. Schwartz has a broad and eclectic interest in empirical legal studies and welcomes collaboration on quantitatively oriented projects in all areas of law.